The Dr. Woof Dog Costume is a pullover dog shirt so there's no need to fuss with any buttons or zippers. 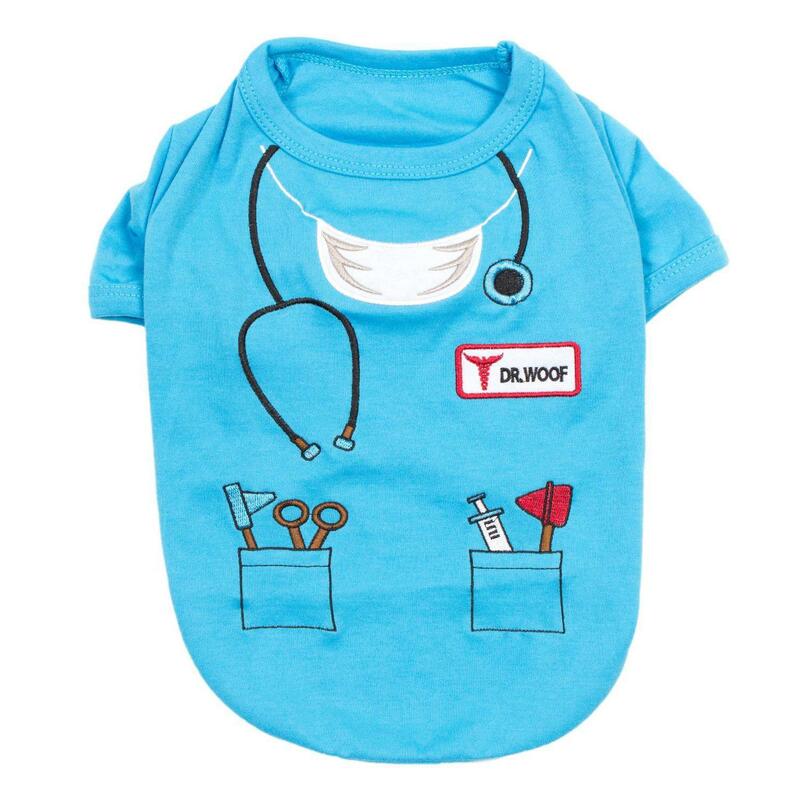 This doctor costume for dogs has all of the doctor details embroidered on the shirt with all of the tools your pup will need to cure anyone's ailments. 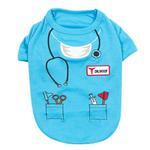 This comfortable 100% cotton doctor dog shirt is great for trick or treating or special Halloween pictures! This would also be a great shirt for therapy dogs to visit patients in. Be sure to check out all of our dog Halloween costumes and accessories! Dr. Woof Dog Costume By Parisian Pet Customer Photos - Send us your photo! Posted On 11/26/17 by Mary B from La Crescenta, CA Yes, Mary B recommends this product! My friend who is a Doctor of Psychology in N.Y. recently had her small dog trained as a therapy dog, I ordered this shirt for the dog and it is too cute I can hardly wait to give it to them for Christmas. Posted On 11/09/17 by Dawn S from , TX Yes, Dawn S recommends this product! When I saw this shirt I had to purchase it for our Maltipom. His nickname is Dr. Boo and the design on this shirt says it all. It is made well and fits perfectly on him. It is made of thicker fabric and with the cold front that just came in - it is perfect to keep him warm. Very nice items that I ordered they fit my yorkies great and they look great in them. Have gotten a lot of compliments.